Three extended free improvisations recorded in 2017 in Cubao Quezon City from the trio of Rick Countryman on alto saxophone, Simon Tan on acoustic bass, and Japense first generation free improviser Sabu Toyozumi on drums & Erhu (a 2-stringed Chinese instrument), as the trio take their listeners on a marathon session of inspired and playing. Recorded on August 9th, 2017, by Alvin Cornista. 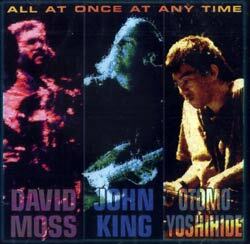 "Yoshisaburo "Sabu" Toyozumi (born Tsurumi, Yokohama, 1943) is one of the small group of musical pioneers who comprised the first generation playing free improvisation music in Japan. 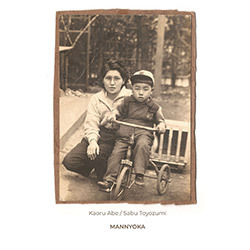 As an improvising drummer he played and recorded with many of the key figures in Japanese free music including the two principal figures in the first generation, Masayuki Takayanagi and Kaoru Abe from the late 1960s onwards. He is one of a very few of this circle who are still alive and engaged in playing this music today. 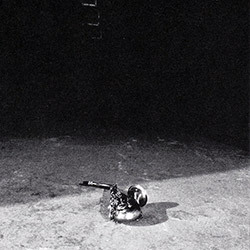 Toyozumi features on numerous commercially available recordings with many of the most notable Japanese and international improvising musicians including Derek Bailey, Mototeru Takagi, Misha Mengelberg, Peter Brötzmann, Keiji Haino, Otomo Yoshihide, Tom Cora and Fred Van Hove. In 1971 he became the only non-American member of the Association for the Advancement of Creative Musicians(AACM)). 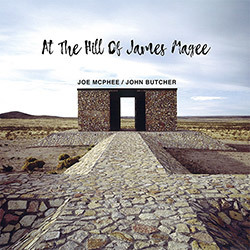 He dedicated his first record as a leader, Sabu - Message to Chicago, to compositions by AACM members, and in 1992 toured and recorded with AACM trumpeter Wadada Leo Smith. Toyozumi has been instrumental in bringing many European and American improvisers to Japan including Derek Bailey, Misha Mengelberg and Sunny Murray. 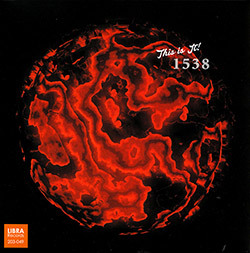 In 2005 British improvising guitarist and promoter John Russell arranged a two-day event dedicated to Toyozumi in which the drummer performed in different groupings with 14 musicians from the London improvised music scene including, most notably, Evan Parker, Lol Coxhill, Phil Minton, John Edwards and Steve Beresford. The Wire described his playing at this time as follows: "He's busy, but there's always space between his notes, and he avoids the flashy technical solution to musical problems. His playing is crisp and dramatic, with a very occasional use of repetition to spark a climax. If it's possible for a drum kit to ask awkward questions, Toyozumi seems to be doing it". In an interview with Cadence Magazine in 1988 Toyozumi makes clear the importance of his relationship with nature as an influence on his playing and Clive Bell writing in The Wire in 2005 notes "his devotion to the way of Watazumido, the late shakuhachi player and Zen master, whose performances mixed martial arts and music in a bizarre cocktail of discipline and craziness". In 2009 he returned to London to feature as one of the players in Russell's improvisation festival Fete Quaqua which was recorded for broadcast by BBC Radio 3. He continues to tour widely and in the past year or so has performed in Belgium and France, Chile, Taiwan, England, Philippines and Greece. 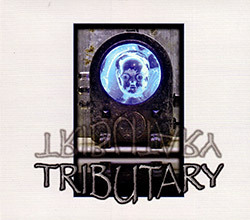 He also performs from time to time with the legendary Japanese noise group Hijokaidan. Currently he can be found performing on the erhu - a two-stringed Chinese violin - as often as playing the drums." "Rick Countryman (January 31, 1957) is an American jazz saxophonist and flautist. After years attracting little attention as a baritone saxophone player, including an extended sabbatical, Rick made a late-life change to alto sax, at the urging of bassist, Simon Tan. 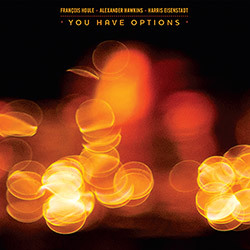 His first recorded session with Simon and Christian Bucher, avant garde drummer from Switzerland, attracted the attention of French label "Improvising Beings" and was released as "Acceptance - Resistance". 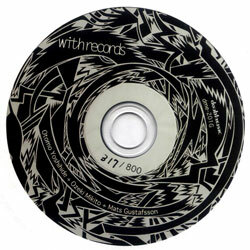 The recordings received many positive reviews, both in the United States and Europe. Rick currently now has 9 releases on 4 labels across Europe, Asia, and the United States, including multiple CDs with Japanese improvisational drummer, Sabu Toyozumi, who has made several trips to Manila to perform and record. 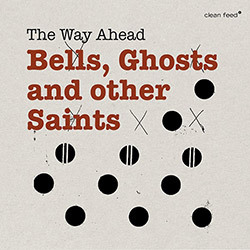 The music continues to receive positive reviews and airplay. Two recordings were listed in "Gold Dolphy 2018". Since 2011, Rick has been an active member of the Manila jazz scene. 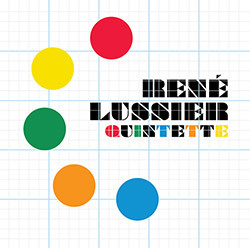 He leads and performs in ensembles on baritone saxophone, alto saxophone, alto flute and bass flute; performing original compositions, as well as free jazz/improvisation, in his own jazz quartets and trios. 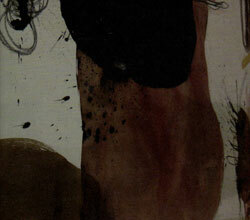 His style is heavily influenced by Eric Dolphy, Sonny Simmons and the 60s Free Jazz movement. He was a student of Bert Wilson, and considers Michael Bisio and Rick Mandyck early mentors." "Simon Leonardo P. Tan (born August 13, 1970) is a Filipino bassist. Beginning classical guitar lessons at age 13 at the Yamaha School of Music stimulated his later exposure to electric guitar and, inevitably, his interest in the electric bass. He studied the contrabass at the University of the Philippines College of Music from 1988 until 1992, then embarked on a professional musical career. His ability as a multi-genre bass player readily caught attention, notably in the pioneering Manila-based blues band, Lampano Alley, led by the Filipino blues singer and recording artist, Binky Lampano. This was followed by his tenure as bassist and composer with the award-winning Philippine jazz group, WDOUJI. Simon Tan's influences range from rock to classical, blues and jazz. His influences as a bass instrumentalist include Roscoe Beck, Ray Brown, Paul Chambers, Charlie Haden, James Jamerson, Marcus Miller, Jaco Pastorius, and John Pattitucci. Notable (Filipino) musical (non-bass) influences include vocalist Binky Lampano and saxophonist Tots Tolentino." "Preludes and Prepositions, Live in the Philippines at Tago Jazz Café contains three long improvisations recorded August 9, 2017 by Alvin Cornista in Cubao Quezon City. 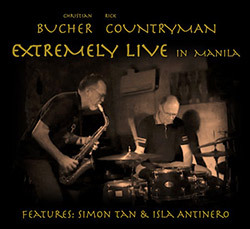 The next Chap Chap album I received in the same mailing is devoted to Rick Countryman and Swiss drummer Christian Bucher "featuring Simon Tan and trombonist Isla Antinero (Extremely Live CPCD 014). The sound quality of Preludes and Prepositions quite appropriately treats the saxophone and the drums to the detriment of the double bass which, in CD 2, resonates loudly probably due to a bad microphone position or a rough amplification. The first CD includes Preludes and Prepositions (40:21) and Philosopher Turtle (20:23) in which one can hear the er-hu (Chinese fiddle) of Sabu. The third marathon piece fills the entire CD 2, Geography of Sound (54: 31). 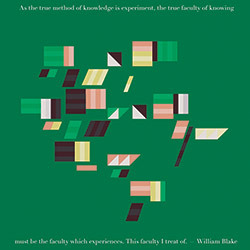 You understand that Chap Chap is a label of the radical favorite for a sibling family of whom I have already reviewed many of the references mentioned above. 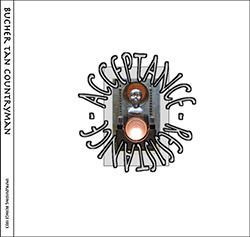 I must also mention that Julien Palomo is the first to have released the first recording of Rick Countryman in trio with Simon Tan and Christian Bucher (Acceptance - Resistance ib 53). His interest has boosted this American saxophonist based in the Philippines, it is measured with these new albums released by Takeo Suetomi. 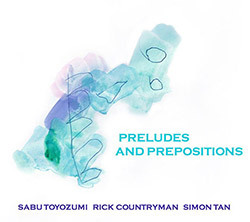 All the music of the trio that appears in Center of Contradiction and in Preludes and Prepositions is entirely improvised, illustrating the free and extended form (duration!) 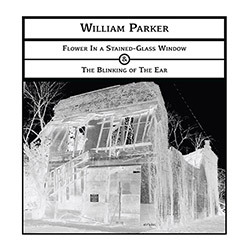 Of the free jazz assumed over time with a beautiful consistency. 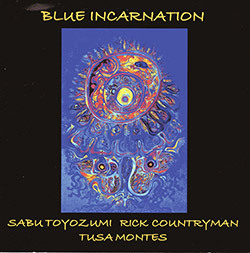 This allows us to hear Sabu Toyozumi's solos and interventions back and forth. 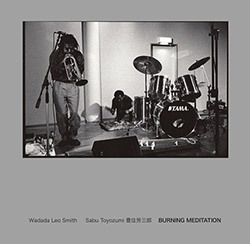 There is something fundamental that distinguishes the free way of Sabu Toyozumi from that of his African-American colleagues like Milford Graves or Don Moye and Steve McCall (with whom he formed a trio of batteries in Chicago in 1971) or still Hamid Drake. Although he is an agile and lively percussionist and despite his small size, he can achieve some striking and sometimes violent peaches, there is in his game something light, airy, a dynamic sound worked, a cycle of alternating elliptical strikes. play on the snare drum, hit the bass drum or mark only the beats on the cymbal. He thus turns a long time around the alto saxophone which heats up, building these melodic lines. They can stop to play a drum solo in his inimitable style to create a percussion dialogue in questions - answers, until the trio leaves again. 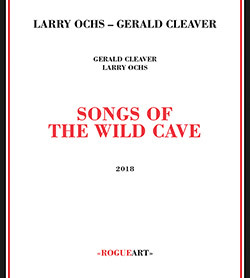 And then, once the saxophonist completely lit up his forearms flutter and multi directional bearings fuse on every corner of the skins taking everything in its path like a torrent of fresh water in the mountains at the height of summer subtropical. After the intense 40 minutes of Preludes, the musicians complete the audience by further increasing the energy discharge in the twenty minutes well packed by Philosopher Turtleafter Sabu has delighted the audience with his Chinese fiddle which he lets the strings vibrate in a surreal melody out of the infinite. We know that musical rhythmic structures are linked to linguistic / phonetic specificities and to the musicians' (ethnic) culture. And Sabu Toyozumi, marked by his practice of traditional martial arts, Zen physical exercises and his frequentation of the greatest shakuhashi blower of the previous century, Watasumi Dosõ, who is not familiar with European languages ​​(French or English) and although he is a a citizen of the world who has traveled extensively in Europe, Asia, Africa and North and South America, embodies a vision of the specifically Japanese drumming free, at least demarcated from all other drummers. There would be a study to be done on this subject in relation to the Japanese language and its sound structures, its syntax and the way of thinking that underlies it. Still, as far as I'm concerned, Sabu's trio style with double bass and saxophone is just as original as those of Sunny Murray, Milford Graves, Phil Wilson and a few others. 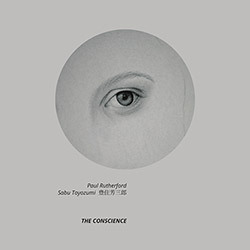 And then, once the saxophonist There are many excellent free drummers, but Sabu Toyozumi has something quite special, a subtle and paradoxical mix of sophistication and savagery. 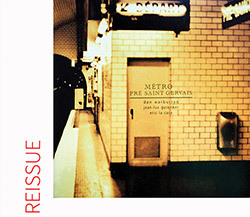 With Rick Countryman, the drummer seems to have found a ratio equivalent to the one he had with the legendary Kaoru Abe, alto saxophonist flamboyant and extreme disappeared in the late 70s, a victim of drugs and a way of life that is not unlike that of Charlie Parker in the early 40s in NYC. It was Sabu who brought Kaoru's body, his deceased friend, back to his mother's apartment, carrying it over his shoulders across the city. Rick Countryman is a lighted viola with a burning sound and angular flow in the straight line of the Azerian free-jazz pos. At the peak of trade, its rough breath burst the harmonics. 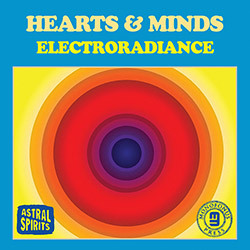 We think of Marshall Allen and Roscoe Mitchell. He does not hesitate to assume the excessiveness of the Japanese percussionist by regularly increasing the pressure in a crescendo energetic controlled and quite spontaneous. A real performance. 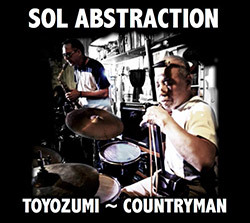 No doubt, one can find colleagues in the game more complex and more advanced, but Countryman is a solid customer, fire-eater moreover at the height of a phenomenon like Sabu Toyozumi. Presumably jazz bassist, Simon Tan assures a solid presence, takes an excellent solo pizz in the CD 2 and projects his lines of cold blood into the fray with a real aplomb. 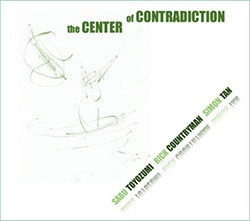 The music of the second cd (54 '31' ') contains only the first piece of the second set and extends with as much energy and creativity the music of the first set with several sequences of collective play where Sabu Toyozumi makes wonder to the brooms, among others, Rick Countryman evokes the blues. Simon Tan's solo is in line with the group's interventions. Melodies and swing are sometimes evoked in a moment of relaxation, organic interlude of a continuum consuming the inextinguishable energy of the trio. A crazy generosity, without calculation, a musical construction chained with a lot of brilliance and common sense. And an unprecedented testimony of Sabu Toyozumi in the heat of the moment. A little problem with digital reproduction: the bass is badly recorded or badly amplified, but improves over time. 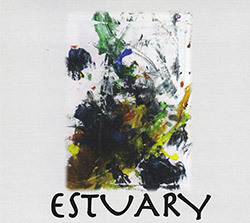 The improvisation of the trio is metamorphosed into a succession of phases that describe the Geography of the Sound. 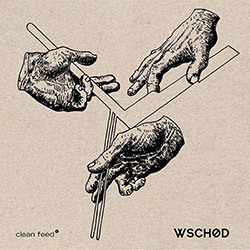 Search for other titles on the ChapChap Records label.